The Grand Lodge of Cuba (Gran Logia de Cuba) is regular, and recognized by the majority of mainstream grand lodges around the world. It occupies a curious position, as it is one of the few nations with a Marxist dictatorship where Freemasonry still flourishes. It is said that, during Cuba's revolution, Fidel Castro took refuge in a Masonic lodge, and so has never shut down the fraternity there as other regimes have done. According to the 2010 List of Lodges-Masonic, the tiny island nation today has 316 lodges, with more than 29,000 members. Freemasonry first appeared in Cuba in 1763, and largely grew from English and Irish military lodges. When the English departed, French Masons arrived, fleeing the Haitian revolution in 1791. The first lodge actually founded in Cuba was the Temple of the Theological Virtues, chartered in 1804 by the Grand Lodge of Louisiana. Masonry occupies a unique position in Cuban society, where most civic groups are closely allied with, or monitored by, the government. They do not take a confrontational stance with authorities, yet they welcome dissidents as members. Mark Falcoff, a Latin American scholar at the American Enterprise Institute, a conservative think tank in Washington, said in 2003 that the Masons' non-confrontational approach toward authorities has allowed them to survive independently in a system where most civic groups are affiliated with the government. After the fall of the Soviet Union, Cuba's principal trading partner, the government eased restrictions on Freemasonry, allowing them limited ability to participate in public ceremonies and to charter the first new lodges since 1967. Still, anything more than holding regular meetings requires government permission. And the publishing of Masonic books and even pamphlets is severely restricted. But what makes Freemasonry unique in Cuba is the role it played in the three decade struggle for independence from Spain between 1868 and 1895, with many Cuban revolutionaries like Joseph Marti, Antonia Maceo and "father of the nation" Carlos Manuel de Céspedes. Those national heros and their Masonic affiliation are hard for Communist authorities to sweep under the carpet. The result is Masonry's unusual ability to straddle the line between an oppressive state and freedom. There is also a Grand Lodge of Cuba In Exile (Gran Logia de Cuba En el Exterior) operating in Miami. The upcoming trial by the Masons of Cuba of a former Grand Master has highlighted the perseverance of the 30,000 members of the organization in spite of severe governmental controls on its direction. Juan Manuel Collera Venta and two other Masons are accused of allowing a Mason initiated in Miami to attend a meeting in a lodge last year, violating a rule establishing that only members initiated in Cuba can visit the lodges of the island. But the case has been surrounded by rumors that Collera is excessively tied to the government. 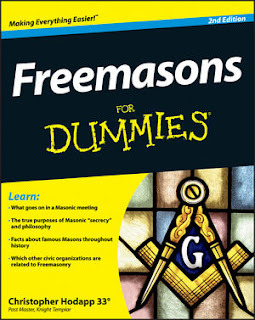 Also it is said that the government pressured the Masons because he was elected Grand Master in 2000 and later opposed them in another unspecified case in 2005. It was impossible to locate Collera for comment. But in a letter written a few days after the last accusation against him, filed in April, he described the trial as "morally fraudulent," and insinuated that it was the work of exiles. 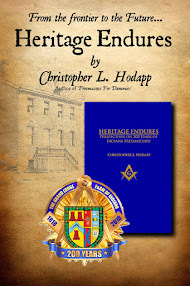 The direction of the Cuban lodges "was used to maintain a fence between us and the Brother Master Masons of the Lodges in exile," he wrote. Masonic investigators are interviewing those involved in the case, and the trial is expected to take place in June, said Gustavo Pardo Valdes, president of the Cuban Academy of High Masonic Studies and freelance journalist who has reported on the case. Several Masons of Miami interviewed for this story declined to comment on Collera, but repeatedly complained that the Cuban government put strong pressure on the Masonic leaders so they would follow the official line. "All the Lodges are infiltrated, and whenever they have a meeting, the next day the government already knows what was discussed," said Manuel Olmedo, President of the Federation of Cuban Masons in Exile, Cuba First. Nevertheless, and surprisingly, Masonry has survived in Cuba, despite an effort by pro-Castro members in 1959 to dissolve the group, alleging that the revolution had eliminated the necessity for such groups. At present, Cuban Masons say that they have 30,000 members in 316 lodges. That is less than the 34,000 members and 340 lodges in 1958, but more than the 19,690 members in 1981. In addition they control about 220 temples, Pardo said, although the government has confiscated five or six and all but three of the eleven floors of the Grand Lodge in central Havana. More than a third of the members and lodges are in Havana, and some members also belong to the Communist Party of Cuba, according to a recent study by Jorge Luis Romeu, a Mason born in Cuban and a Professor of Statistics at the University of Syracuse, in New York. Although the rules of the organization prohibit partisan political activities, 13 of the 75 dissidents jailed in the repression of 2003 known as the Black Spring are Masons, said Pardo by telephone from Havana. Masonry is legal in Cuba, but is strictly controlled by the Office of Religious Affairs of the Central Committee of the Communist Party of Cuba, which has long been led by Caridad Diego. The government, for example, requires that the lodges cancel the membership of Masons who emigrate, as well as reporting the activities of their lodges in detail, and that they obtain prior approval for any nonroutine activity, Olmedo said. Pardo Valdes, former political prisoner and 33 degree Mason, said that in 2007 Diego blocked his efforts to be elected president of a high position, the Supreme Council, because of his political activism. The donations of Masons from abroad usually pass through the Cuban Institute of Friendship with the Peoples, led by the government, which takes some of the money, added Olmedo. But another part comes to Cuban Masons directly for their charitable programs and conferences on subjects like the economy, history and literature. The Llanso Masonic Home in Havana shelters about 90 elderly patients, including some who are not Masons, and the Cuban lodges maintain a blog, the Beehive. Last year it was necessary to close the web site of the Grand Lodge in Havana for want of funds. Masonry was established in Cuba 150 years ago and gained political influence when many of its leading members, including the leader for independence Jose Marti, fought against the Spanish rule. In Cuba there is also active the Sociedad de Antiguos Honorables Compañeros Distintos - called the Odd Fellows in English - with about 25,000 or 30,000 members, and the Knights of the Light, a group developed in the island, according to Pardo Valdes. Arkansas Grand Lodge Officers: Resigned? Toy Story 2 and Evil Masons? !